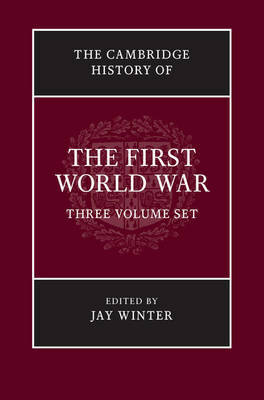 The Cambridge History of the First World War is a comprehensive, three-volume work which provides an authoritative account of the military, political, social, economic and cultural history of the Great War. Reflecting the very latest research in the field, the volumes provide a comprehensive guide to the course of the war and of how the dynamics of conflict unfolded throughout the world. Volume 1 surveys the military history showing the brutal realities of a global war among industrialized powers, whilst Volumes 2 and 3 explore the social, economic, cultural and political challenges that the war presented to politicians, industrialists, soldiers and civilians. Written by a team of leading international historians, the volumes together reveal the ways in which the war transcended the boundaries of Europe to subsequently transform the Middle East, Africa, Asia and the Americas just as much as Europe itself.